Have your dog love stacking on the table. 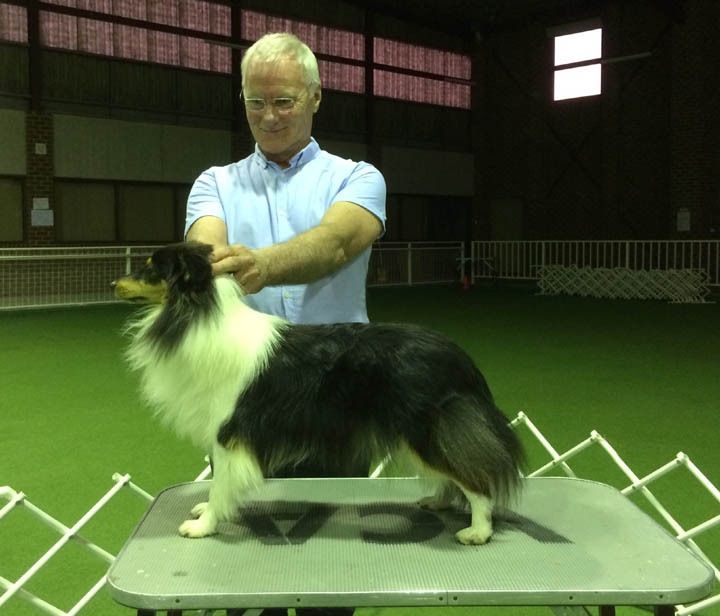 Stacking dogs is the single easiest task that we, as handlers, have to carry out when showing our dogs and table stacking is even easier than ground stacking since the dog is directly within our line of sight. So why is it that so many dogs misbehave on the table? Before stacking allow your dog stand within it’s own balance. As with any stacking, the first rule is to allow your dog to stand on its own weight and not to interfere with its balance. Pushing or pulling the dog only causes them to lean one way or another to counter your pressure. Once your dog is relaxed and standing on its own terms, you now have the opportunity to identify which legs may need to be repositioned to achieve the perfect stack. Refer links. Unfortunately, this is the moment where many handlers perpetuate fear or uncertainty in older dogs and begin the life-long unsureness in puppies when it comes to stacking – especially on the table. 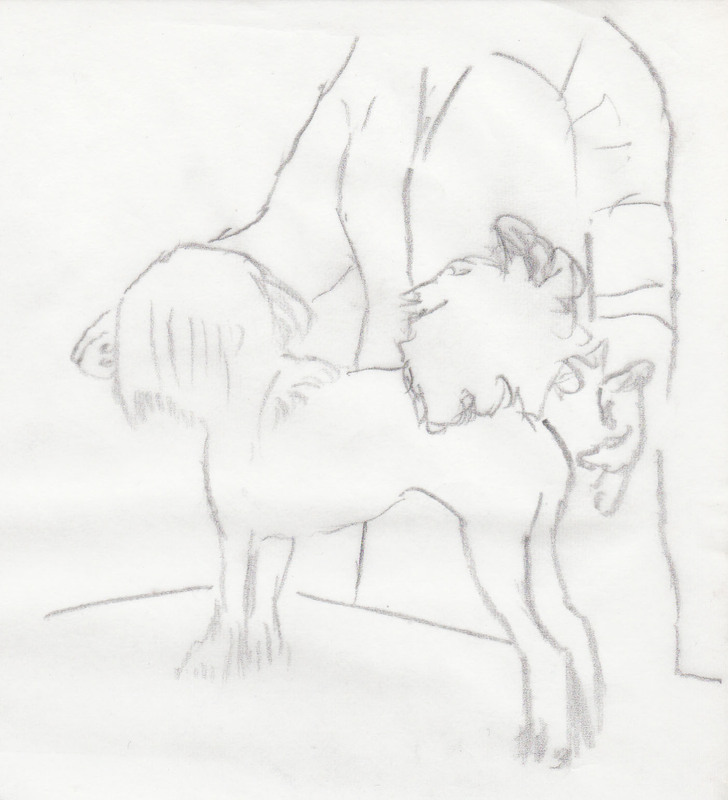 This happens because the instant the dog is on the table the handler will often pick-up both rear legs and attempt to set them down again in one abrupt move. 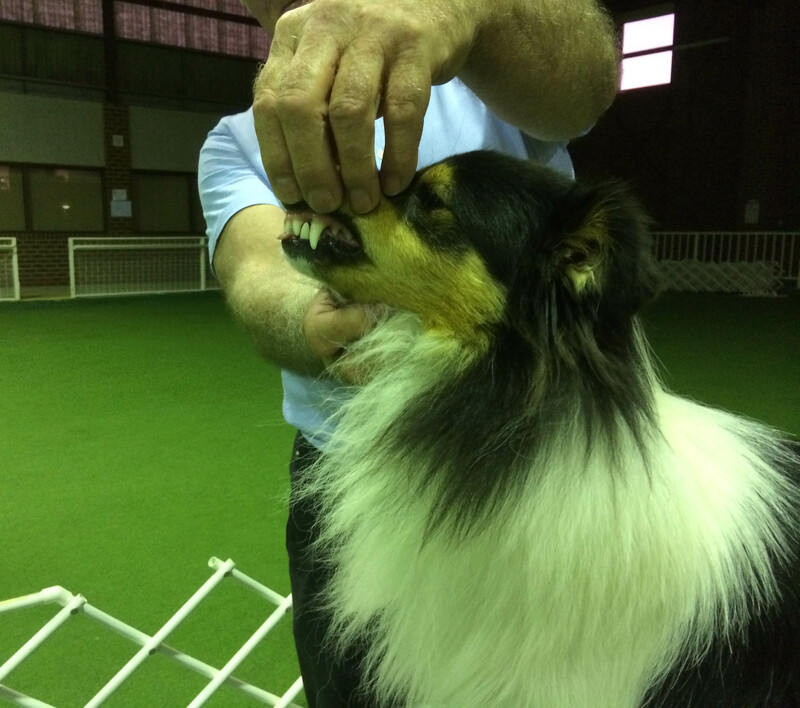 Next, without allowing the dog any time to re-establish its own balance, the handler uses various types of hand movements to repeat the procedure with the dog’s front. If we imagine these actions from the dog’s point of view, a) they have no control over their own balance, b) this is happening a long way up from the safety of the ground and, c) they have no sense of control over what is happening to them. Although the method of table stacking described above has been passed down for generations and is still widely employed by handlers today, there is a better way; a kinder, calmer, more efficient and more effective way to achieve the perfect stack on the table. And here are some tips on how to do it. Show the teeth. Display approx 45o and full arms length and hide nothing. First of all, gently place your dog on the table along with a calming voice signal such as a low, long, “staaaaaaannnnnd”. Next, with your right hand gently under your dog’s jaw, allow your dog to stand still under their own weight and – more importantly – their own balance. Now, you only have to adjust the legs that are absolutely necessary while resisting the urge to move more than one at a time. 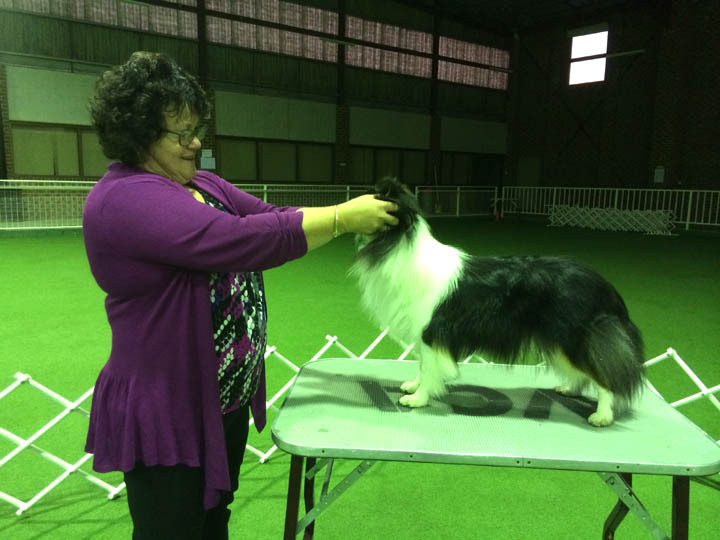 Once you’ve done this, you should now allow your dog to maintain their stack on their own terms, providing, if required, a soft front contact with either hand or lead to adjust their head carriage, and softly directing the tail positioning. Then show the teeth. Whilst the judge is moving to the forequarter move to the front, arms oustreach tickling in the ears and telling your dog how beautiful it is. To guarantee your dog’s comfort – and compliance – when completing these actions, make sure all your movements are in slow motion. So slow, in fact, that you think that maybe you’re being too slow, but remember; there is no prize for being the fastest. Short, sharp, quick movements will only unnerve your dog and confirm its concern at being so high off the ground and not in control of its balance and safety. One more tip: when lowering your dog from the table, remember that, from their perspective, being on the table is roughly the equivalent experience of us being on a first or second storey balcony, so be sure to reassure your dog that everything is okay with another calming voice signal such as, “dowwwwn”. If this manoeuvre is again executed in slow motion, this will ensure that your dog is calm and ready to move – rather than being flighty and concerned about what is happening – when it meets with terra firma. What challenges do you experience when stacking your dog on a table? ← How do I stop my dog from sniffing the grass.